Well, there she is – the Verizon HTC One. 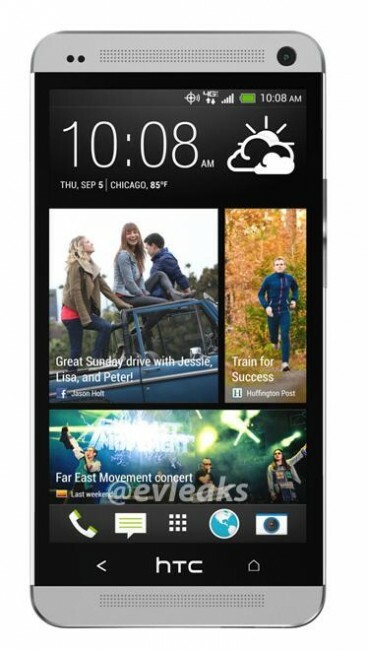 It looks like…an HTC One, only with Verizon’s 4G LTE logo in the notification bar. Otherwise, we’ve got the same silver and all-metal color scheme, HTC’s Sense 5.0, BoomSound front speakers, wide-angle front camera, and that love-it-or-hate-it navigation button setup. We still do not know when this phone is arriving, other than “later this summer.” If you are one to buy into dates displayed on a phone, then you could potentially throw Thursday, September 5 into the ring. How often have those been correct over the years, though? Still excited for the arrival of the One on Big Red?